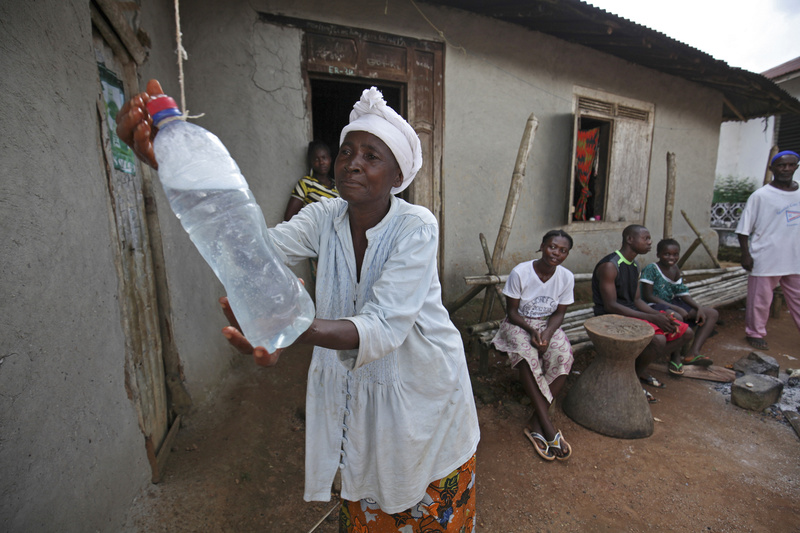 Catholic Relief Services committed an additional $1.5 million to programs aimed at countering Ebola in Sierra Leone, Liberia and Guinea in November. The money is being used to train heath workers, ensure safe and dignified burials, develop and implement prevention awareness campaigns, maintain local Catholic health facilities and provide food to those in need. Speaking from Senegal on Nov. 7, Michael Stulman, the agency’s regional information officer, said, “There has been progress in all three countries, but there is a lot more to do.” In Guinea, Sierra Leone and Liberia, the epidemic has killed almost 5,000 people out of more than 13,000 reported cases, according to the U.S. Centers for Disease Control and Prevention. A total of 22 cases have been identified in Mali, Senegal and Nigeria. This article also appeared in print, under the headline "Progress on Ebola," in the December 1, 2014 issue.